Now’s a ripe time to become our BFF! We just wanted to let you know that now is a really good time to sign up as a Microcosm BFF and get all of our fall releases! Too awesome for your mind? Imagine a package each month with titles like Bill Brown’s Action, Raleigh Briggs’ Make It Last and Fix Your Clothes, Dan Moore’s Mark Twain Was Right, Xerography Debt, Robnoxious’ Unsinkable, and so many more! As an added bonus, if you sign up by the end of July we’ll throw in all of the upcoming Cantankerous Titles releases as a free bonus. That’s a total of twenty one titles in the next six months! Already a BFF? Don’t worry, we love you too so if you renew your subscription before the end of June we’ll throw in the Cantankerous Titles releases as a free gift for you too and you’ll add six more months onto your existing subscription! Microcosm Contest! Create Our Next $20 Superpack and Win Big! Hey folks! We are holding a contest to decide what our next $20 Superpack will be! 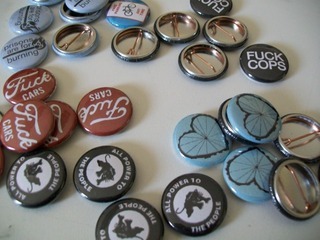 For those who don’t know, the Superpacks are themed packs of zines, books, pins, stickers, patches, and/or posters valued at $25 and marked down to $20. 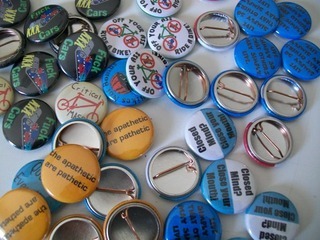 Past Superpacks have included the Anytime Gardening Superpack, the Feminist Power Superpack, and the ever-popular Bicycle! Bicycle! Superpack. What you need to do to enter this contest is root around on our site and come up with $25 worth of whatever (zines, books, etc, any combination of), figure out an awesome theme for it, email Jessie (jessie@microcosmpublishing.com) with your list of stuff and the name of the Superpack, and the winner will get that very pack! Contest ends July 7th and Jessie will announce the winner shortly thereafter! Ready, set, go! In this zine, Heron the herbalist’s love of plants is shared through personal stories, drawings, and introductions to some favorites. 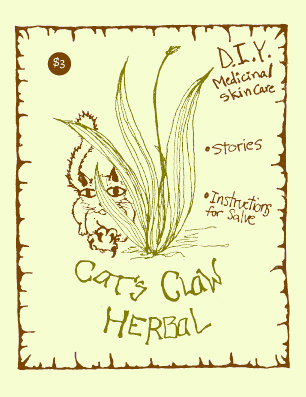 Cat’s Claw Herbal also includes easy to understand DIY instructions on how to make your own herbal salves. This zine is great for people who are already into plants or those who are newly interested in making their own salves and natural medicine. Three New Published Titles! Out Today! In this zine, Heron the herbalist’s the love of plants is shared through personal stories, drawings, and introductions to some favorites. Cat’s Claw Herbal also includes easy to understand DIY instructions on how to make your own herbal salves. This zine is great for people who are already into plants or those who are newly interested in making their own salves and natural medicine. Order here. 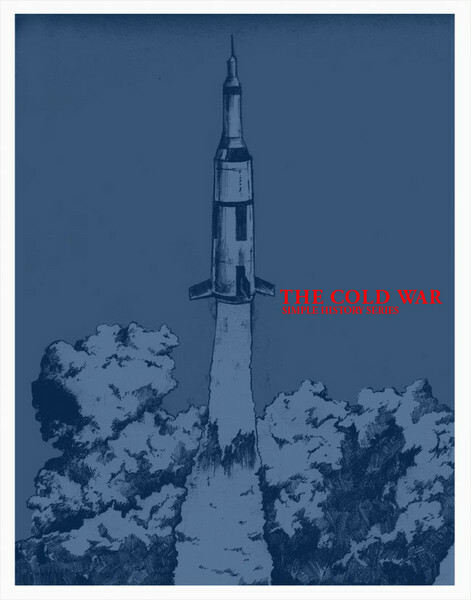 In the latest installment of the Simple History zine series, author J. Gerlach takes a look at the Cold War. An era of nukes and paranoia, witch-hunting and gun-running, the Cold War was a complicated and oft-times terrifying time in our world’s history. Says Gerlach in the introduction, “The Cold War is a popular topic of debate for historians because of the large number of ‘what-ifs’ and the immensity of the consequences should a bluff be called, or an itchy trigger finger released. There seems to have been opportunities, both for an honorable end to the conflict, and for complete world destruction.” From the post-war “reconstruction” of Asia and Europe to the Bay of Pigs and Perestroika, Gerlach’s book comprises a wide cross-section of the important events of the last 70 years and gives its objective facts in a clear-minded, engaging, accessible fashion. Order here. 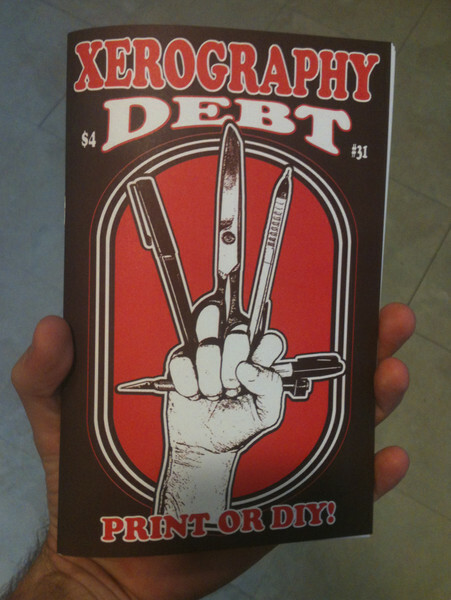 Davida Gypsy Breier’s review zine, Xerography Debt might be best summarized as an obsession for all involved. Now on its 31st issue, Xerography Debt is “the review zine with personal tendencies,” allowing its hand-picked cast of contributors to essay both the zines they love and where those zines find them in their lives. 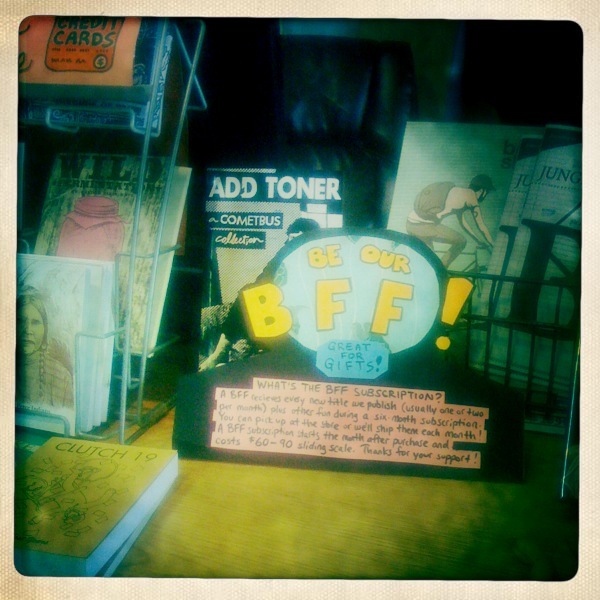 Al Burian gets a job in a vegan cafe to stay connected to his punk cultural roots, Joe Biel reports on the “pre-natal death of the e-book,” and Jeff Somers ruminates on the idea of a zine community and his ever-changing reasons for continuing to publish zines. And let us not forget the large volume of zine reviews in here. Rather than spending time and ink bashing things or being forced to write about something they don’t care about, the reviewers hand-select what they want to write about the result is much more interesting. In an age of blogs and tweets, Xerography Debt is a beautiful, earnest anachronism, a publication that seems to come from a different era, but is firmly entrenched in the now. 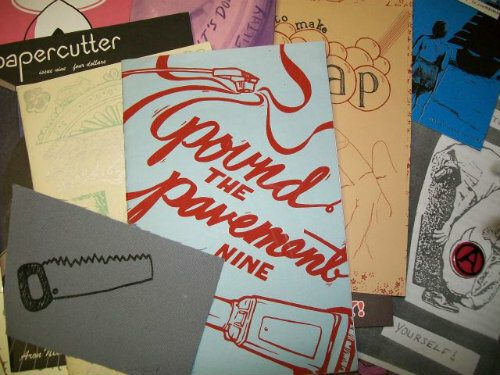 And they want to review your zines in future issues: Davida Gypsy Breier / PO Box 11064 / Baltimore, MD 21212 Order here. OUT NOW! In the latest installment of the Simple History zine series, author J. Gerlach takes a look at the Cold War. An era of nukes and paranoia, witch-hunting and gun-running, the Cold War was a complicated and oft-times terrifying time in our world’s history. Says Gerlach in the introduction, “The Cold War is a popular topic of debate for historians because of the large number of ‘what-ifs’ and the immensity of the consequences should a bluff be called, or an itchy trigger finger released. There seems to have been opportunities, both for an honorable end to the conflict, and for complete world destruction.” From the post-war “reconstruction” of Asia and Europe to the Bay of Pigs and Perestroika, Gerlach’s book comprises a wide cross-section of the important events of the last 70 years and gives its objective facts in a clear-minded, engaging, accessible fashion. 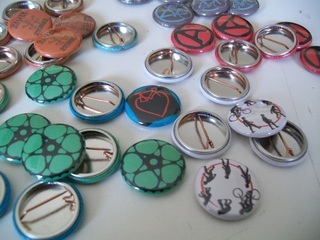 We just did a mega Pin (aka button aka badge) restock! 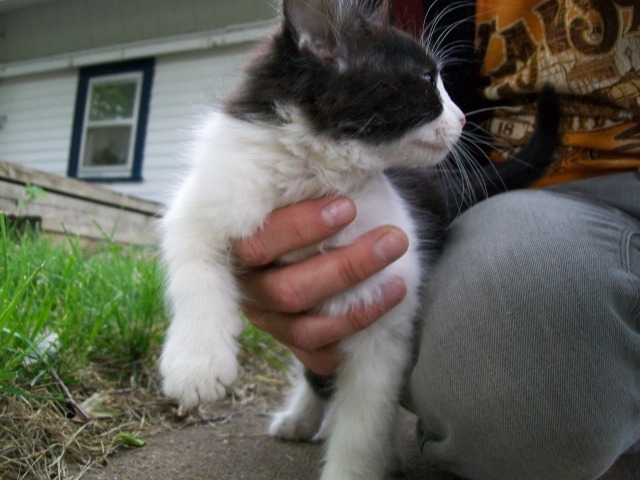 Announcing the “Name the Microcosm Kitten” Contest Winners! We’ve also decided to award Britty from Michigan with a “People’s Choice Award” for “Inky” since it got so many “likes” on Facebook. 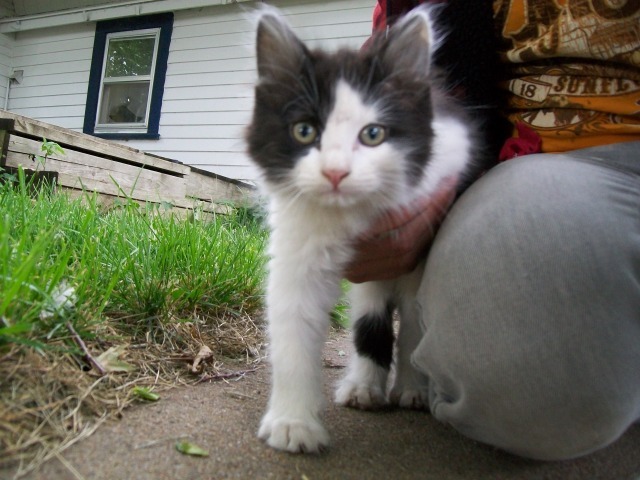 The runner-ups were “Assata,” “Nixon” (which we’re going to save for the next rescue goat we take in!) “Sharpie,” “Lunchbox,” and “Pixel.” Other notable mentions: “Katniss” (of “Hunger Games” fame) and “Kimberly” (after the pink Power Ranger!). Salvadora is doing well and seems to be adjusting to her new home. For some reason sheep are totally fascinated by cats – kittens especially – so she is getting lots of love from us and her new adoptive sheep dads. She’s also mega into climbing hay bales! Thanks to everyone who participated in the contest. This was really fun for us so we’ll probably hit you guys up for names again next time we take in another critter! <3 Jessie, Salvadora, and the Microcosm Gang!